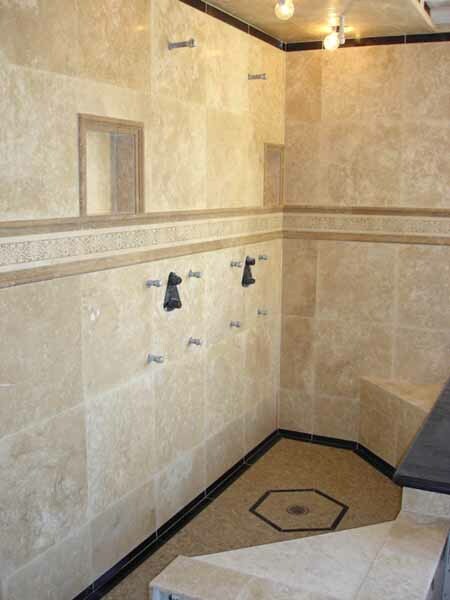 This beautiful master bathroom shower was built in the Temecula valley. 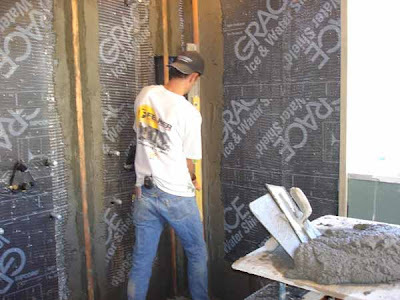 One of the most challenging things when setting a tile shower, is dealing with lippage, and creating plumb walls and jambs. 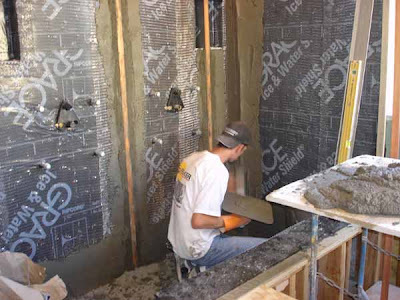 While there are methods such as the “Dot” method used to accommodate an uneven substrate, mud work creates a flat plane to adhere your tiles to by fixing irregularities in the construction of walls and floors by flattening from the surface inward. Float strips are typically made of redwood lattice strips approximately 1&1/2″ wide by 1/4″ thick. These can be cut to different lengths as needed. 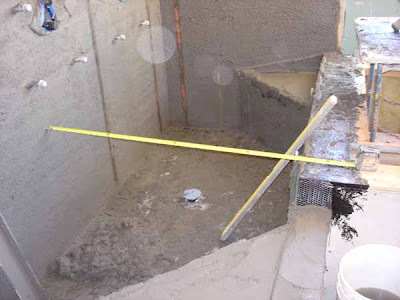 A screed of mud is placed vertically while working towards creating a plumb wall. 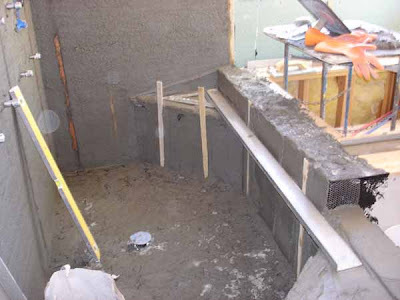 We place the float strip into the soft vertical screed of mud and push it in with a level. Carefully adjusting either the top end or the bottom end until the bubble in the level is dead center. Having true plumb walls makes cutting the tile easier, as well as giving a more uniform and professional look. The ability to create specific dimensions with mud can allow for amazing finished results. While some may over look simple things, such as square walls….or a bench that is on a true 45%. Maybe a shower floor set in 1/2″ mosaic which its grout lines follow consistently along the wall on all sides. These are a few areas the more discerning customer will not be able to argue with. How is this done? With the invaluable tools of our trade of course. A tape measure checks the float strips to check for absolute parallel. A 6′ straight edge placed along float strips can be used in combination with a speed square to achieve a bench on a true 45% angle. 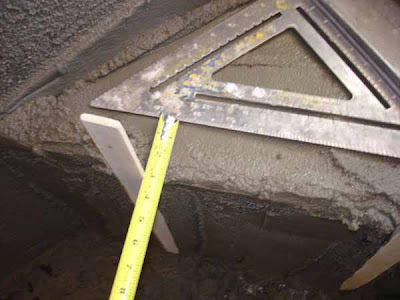 The tape measure is used to parallel off of the speed square. Learning mud work can be a challenge, and it can and also be rewarding. There are methods that are easier, but none I would rather set tile on. This is travertine and absolute black granite. The shower floor is 1/2″ travertine mosaic. Full tile side to side on the shower floor and full diagonal halves at each bench.